Please, click on the image below to download the PDF file. The GIERTH HF 400 A with anatomical program is mainly used in small animal clinics. The GIERTH HF 400 ML is the most universal X-ray unit in the product range. It may be used in small animal clinics, as well as mixed practices, equine clinics or even in zoos. The GIERTH HF 200 A power with anatomical program is especially designed and developed for the small animal veterinarian and covers the complete range of veterinary radiography in the field of small animals, birds and exotic pets. 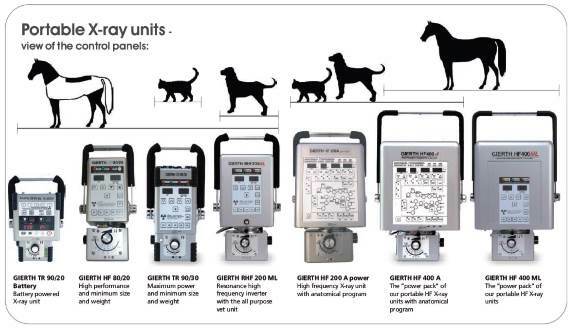 The GIERTH RHF 200 ML is a unique X-ray unit, which is equally – whether at home in the veterinary practice, during a surgery or on site. The GIERTH TR 90/30 is the perfect solution for the mobile practice. 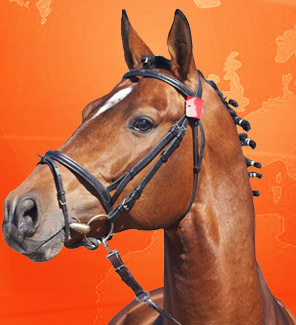 The GIERTH HF 80/20 features a convincing combination of extremely low weight and optimum handling especially for radiographic examinations of horses.